Posted September 30th, 2016 | Category: Replay Media Catcher, Video. YouTube has built the opportunity for comedians to reach people anywhere. Without the use of this popular platform, many folks would find it impossible to get a show or skit into production – YouTube lets anyone with basic filming capabilities and a jolt of creativity generate and distribute video content. Born and bred in the age of the Internet, online entertainers today are making skits, jokes and stories more immersive and unique than ever. We rounded up some of our favorite comedy channels on YouTube, so you can capture all of the funny with Replay Media Catcher. With a content base that’s described exactly by its name, 5 Second Films is a YouTube channel with storytelling, mystery and of course, a lot of laughs. While most of the funny short films are admittedly closer to 10 seconds than 5 (to include open and closing credits), they certainly pack a punch and cover silly, off-the-cuff topics like you wouldn’t even imagine. Watch + record 5 Second Films from YouTube. Miranda Sings is a character created by actress Colleen Ballinger – and boy, do we mean character. With a sassy personality, unreal (and not in the good way) singing capability, and less-than-bloggable makeup, this awesome YouTuber has a growing viewership of all kinds. Is she crazy or just super talented? Even her fans are still trying to figure that one out. Watch + record Miranda Sings from YouTube. We were all teenagers once, but SNL sketch writer Mike O’Brien never quite got past it. 7 Minutes in Heaven is an awkward, hilarious, and yet somehow endearing, comedy channel on YouTube that hosts celebrities for super up-close-and-personal interviews. As you can probably guess, it’s just about as funny as it is cringeworthy. Watch + record 7 Minutes in Heaven from YouTube. GloZell has been around for what seems like forever; she’s a classically trained performer and Internet personality, and she’s built an empire around her comedic personality on YouTube. From tackling the latest challenges to sharing truly awful beauty tips to making up new characters, this is one seriously funny woman to keep an eye on. Watch + record GloZell from YouTube. Use Replay Media Catcher to record each and every episode from these YouTube comedy channels. Have a favorite funny-man or funny-woman on YouTube that we missed? Be sure to let us know! Posted February 16th, 2016 | Category: Applian Software, Music, Replay Video Capture, Video. 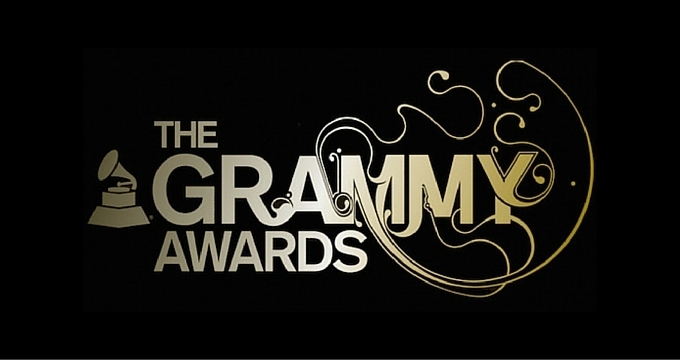 Last night’s 58th Grammy Awards was another amazing night of industry talent. Taylor Swift took home the biggest wins of the night, while Lady Gaga’s tribute to David Bowie warmed hearts, and Kendrick Lamar’s performance blew everyone away. It was truly a night to remember! Every nominee and winner out there this year was incredibly well-deserving. See all of the winners on the Grammys website, and check out every nominated song and video below, for your listening pleasure. You can use Replay Media Catcher to record and capture them for yourself! Please note: We’re working through a temporary issue that may cause issues with recording audio from these videos. Check out our workaround for a solution! Get Replay Media Catcher Today! What was your favorite winner or performance from this year’s Grammy Awards? We’d love to hear from you! Posted February 8th, 2016 | Category: Applian Software, Replay Media Catcher, Replay Video Capture, Video. First of all… WOW, what an incredible game. But now it’s time to give it up for the expectation-exceeding commercials highlighted at the Super Bowl this year. We couldn’t tear ourselves away from the screen for the entire championship or endless array of commercial entertainment. Lucky for us, Replay Video Capture was there to save everything, so we can re-live the best moments! If you didn’t catch them during the live stream, just use Replay Media Catcher to download Super Bowl commercials straight from YouTube – it’s the best way to quickly snag all of the most popular highlights, or even make a mashup of funny clips. 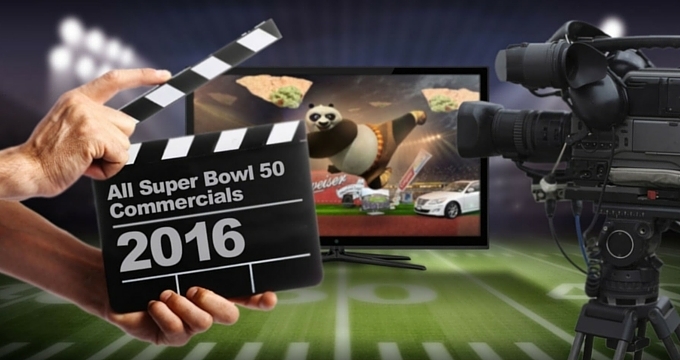 What was your favorite commercial from Super Bowl 50? Share with us on Facebook! Posted December 18th, 2015 | Category: Applian Software, Video. We spend a lot of time analyzing debug logs and frequently give customers a quick 2 minute video to test, which means we’re often in search of short clips that end play a vital role in the data logging process. Needless to say, we watch videos (and other types of media) and want to share them with you! With the holidays looming over our shoulder at every turn and the endless list of gifts to be gifted, we started swapping stories about the most ridiculous things we’ve ever had to wrap up. Coffee mugs can be tricky, and broomsticks nearly impossible, but none of us have ever tried gift-wrapping a cat before! Posted November 16th, 2015 | Category: Uncategorized. I had my laser pointer out earlier today and used it to confuse my son for a little while. When that got boring, I fired up the ‘ol YouTube and had a look at other vulnerable young animals experiencing new things in this harsh world. I’m confident you’ll enjoy this distraction as much as I did. Posted September 23rd, 2015 | Category: Uncategorized. As you know if you’ve popped in to Dr. Wilson’s Possibly humorous Distractions before, Dr Jeff Wilson, PhD, was our in-house UX ninja who went through thousands of monthly videos and other web content to bring you some of the best (or at least, some of the most distracting). Want more distractions? See more from Dr. Wilson here. Posted August 19th, 2015 | Category: Miscellaneous, Replay Media Catcher, Video. People have been eating food for literally ever. But with the rise of cooking shows, celebrity chefs, food truck entrepreneurship, dinner delivery services, lifestyle glamorization via social media and the DIY movement, one has to face facts: now more than ever, foodies rule the world. That’s why we asked some of the best home cooks on the Applian team about their favorite YouTube food channels (and boy, are we glad we did!). Use Replay Media Catcher to record each and every episode from these outstanding culinary works. If you’re looking for a terrific mix of traditional television cooking shows right alongside shorter-form digital-only food-centric web series, PBS Food is right for you. From gastro tourism advice to come cooking tricks for tastiness, this old broadcaster’s online video presence feels just as fresh as the produce they’re cooking up. Reserve Channel’s video offering has more of a full fledged lifestyle approach, but centered around food and fine eating. From exotic trips, to famous folks both within the culinary world and without, RSRV’s video library is perfect for browsing and quickly recording the meals you want to make. Among the most distinctive and stylish culinary web series, Fude House is less interested in providing full recipes to make tonight than it is in teaching specific tips, tricks, ideas and techniques to inspire a lifetime of preparing great food. From videos on butchering a full chicken, advice on lighting charcoal for the grill, to all the best ways to use vodka in the kitchen, Fude House can quickly become addictive to the point of dependency. Beware. Perhaps the most traditional recipe video channel of the bunch, Food Wishes produces a steady stream of useful and delightful content for foodies and home cooks. The entire undertaking is crafted around creat kitchen ideas that build your skills as a home cook up bit by bit. Make a food wish! Posted July 3rd, 2015 | Category: Uncategorized. It’s been a trying year so far for our favorite in-house doctor – Dr. Jeff Wilson, PhD, of course. Besides his UX work for the team here at Applian, and the thousands upon thousands of videos and web clips he’s been through, Dr. Jeff has also been spending more time at home with his parents. Not really, but here, in preparation for some 4th of July family time, are a few things he’s learned about surviving a move back in with the parental units. Have some more salad. Posted May 8th, 2015 | Category: Video. Nerd Jokes: How Smart Are You? We only ask because our own UX specialist, Dr. Jeff Wilson, PhD (whose IQ score reads like the top speed at a Formula 1 race) has just come up with his own handy intelligence test and it’s super easy: watch the video below and let us know how many of the jokes you understood. We know there’s quite a few smarties out there, so leave a comment or drop it on Facebook or Twitter. A Quick PhD PS: Alas, Dr. Wilson is leaving the Applian team and moving back into science, but he has queued up some entertainment for the next few installments of our PhD series. We will miss him, but his humorous distractions will live on! Posted February 12th, 2015 | Category: Uncategorized. In the immortal words of Jon Bon Jovi, “Shot through the heart, and cupid is to blame”, or something like that, right? It is that time of year again when the holiday cards and candy bags turn various shades of light red. So sit back, unwrap a few (red foil covered) Hershey’s Kisses ™, and watch an innocent Valentines Day prank in this month’s PhD post.